Including a complete system of drains within a landscape design might be the most important step of our job. With complex landscape comes complex drainage systems- but we know our way around the majority of commercial and residential drainage systems on the market. We understand that no landscape design is complete without a foolproof watering and drainage system. 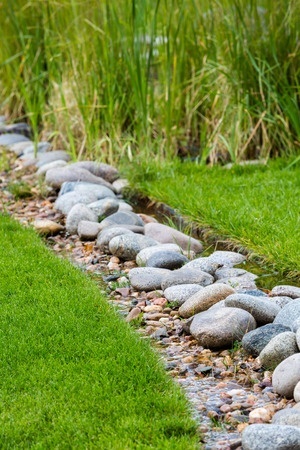 If you want to keep costs down or want to the most sustainable option- we will know which drainage system will work best for you. This is another common place other landscapers will cut corners or make it easier on themselves- by advising you to use the most expensive system to make more money. But we understand and stand by our promise to ONLY give you the options that align with the desires you have.